Ueda and Lartique shared a lifelong delight in the essence of amateur photography and the sheer joy of taking photographs. Their works transcend differences between Japanese and French culture and pose the same question: What, after all, is the human significance of photography? This exhibition is more than a retrospective devoted to the work of two photographers who became giants in their field. It offers a glimpse of the period when modern photography was reaching maturity. It allows us to examine the works of these two great photographers, both individually and in relation to each other, asking how each is unique and yet representative of the times in which it was taken. Ueda was born in Sakai (now Sakaiminato) in Tottori Prefecture. He acquired his interest in photography along with his first camera while a student in middle school. In 1932, he moved to Tokyo to study photography seriously. After studying at the Oriental Photography School, he returned home and opened his own studio. His photographs were repeatedly selected in monthly contests for publication in Asahi Camera and Shashin Salon and attracted attention for their modern style of composition. 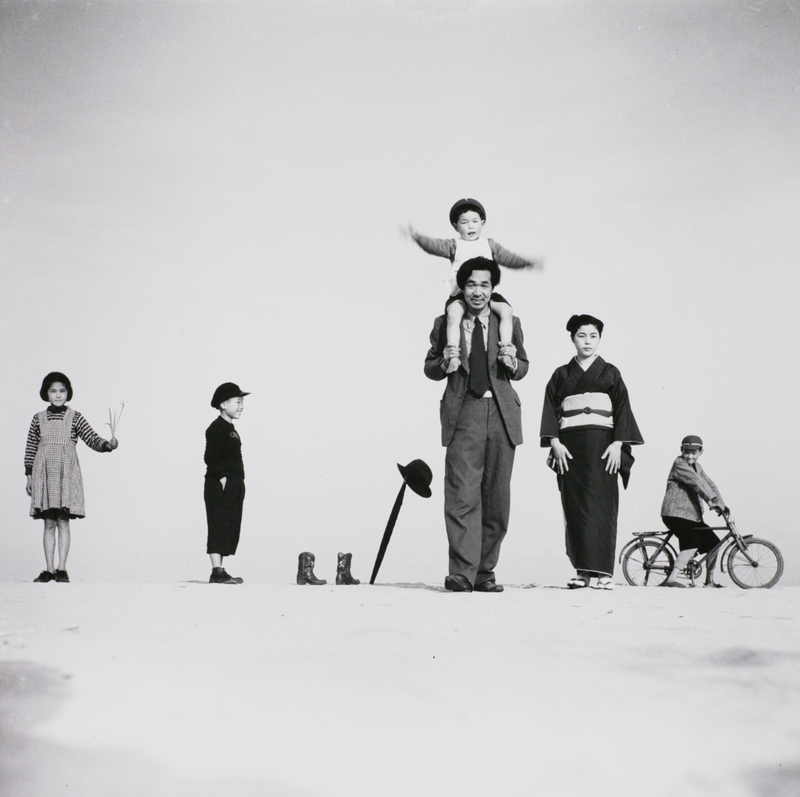 A constant in his work is the landscape of his home prefecture, especially the Tottori dunes, where he used members of his family as models to create a unique visual world of his own.